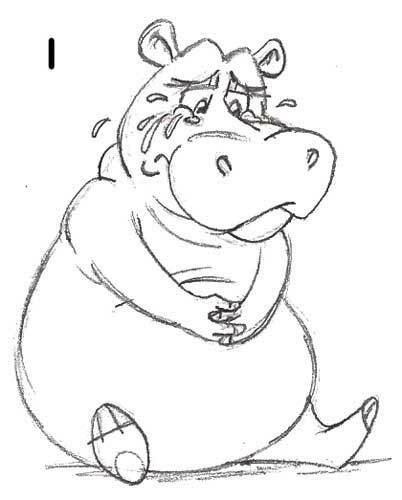 Meet Hippita Hippo. She dreams of flying, but her attempts to fly always end in disaster. 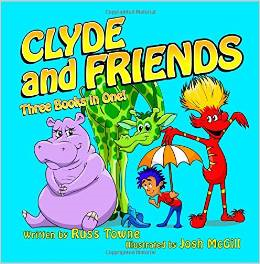 Then she meets a green giraffe named Clyde and his friend Marty McDinkle as they slurp Burzleberry Tea while laying in the shade of a Tickletoe Tree. 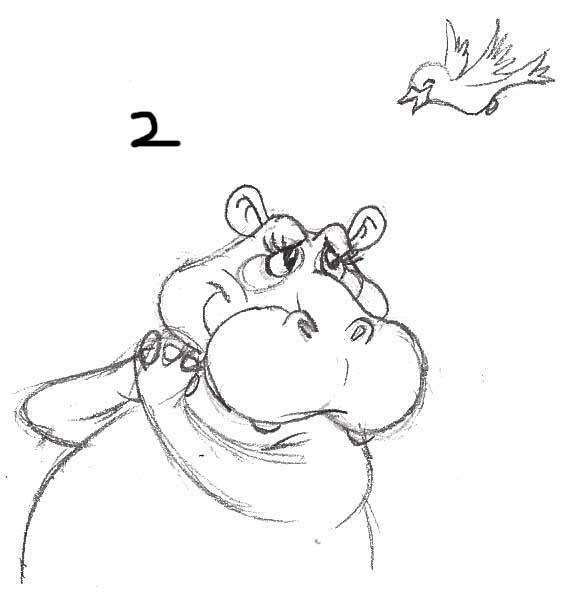 Hippita Hippo started as an idea that I had for a character in my latest children’s story, “Clyde and I Help a Hippo to Fly”. I finished the draft of the story and sent it to my editor. After that, the story went to my book layout specialist, who created a storyboard with her ideas as to which words go on which pages, where illustrations could go, how many pages the whole book should/could be, etc. If I like the storyboard–and so far I always have–I send it to my illustrator and ask him to come up with suggestions for what scenes each illustration could depict while I’m doing the same. Then we talk on the phone going through each page of the storyboard, sharing ideas until we reach agreement on the concept of each illustration. Then the illustrator went to work and sent concept sketches of new characters, scenes, etc. The sketches above are the first rough drafts of concepts for Hippita. I just got them this afternoon. When each sketch is just the way I want it, I greenlight it for creation of a full-color illustration. In later posts I plan to discuss what happens after all the full-color illustrations are done. 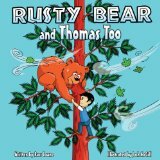 While this is only my third children’s story (and second book–I’m publishing the third story second), the process and flow is happening very smoothly thanks to my wonderful team of publishing professionals. 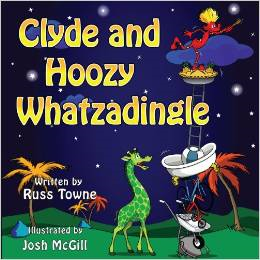 I believe that if weren’t for financial considerations we could create high quality children’s books at the rate of about one every 4 to 6 weeks from the time I come up with a one sentence story idea to the time they are printed and ready for children to read. I believe that is quite fast. 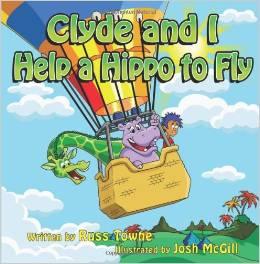 This entry was posted in My Creative Process and tagged children's book author, children's books, Clyde, creative process, green giraffe, Hippita Hippo, illustrations, illustrator, Marty McDinkle, writing. Bookmark the permalink. Thank you, Mimi. She is one of my dream girls. Or, at least I dreamed her up–along with my illustrator of course! I do like her eyebrows, she looks really sweet in the third sketch! Thank you, Ute. 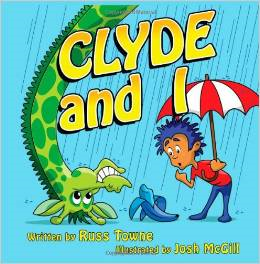 I was very lucky to have such a wonderful illustrator to work with me on my books, and am grateful for the blessing.